CHAPEL HILL, N.C. – The Blue Cross and Blue Shield of North Carolina (BCBSNC) Foundation has invested $1.2 million to expand the North Carolina Department of Agriculture and Consumer Services’ Farm to School Program in response to the growing problem of childhood obesity in North Carolina. The grant provides funding for five new refrigerated tractor-trailers, increasing the distribution of local fruits and vegetables to 35 additional school systems statewide. In addition to the tractor-trailers, the grant supports a three-year Farm to School marketing initiative to teach children about what is being served in their school cafeteria, where it is grown, how to make healthy food choices and the importance of a healthy diet, as well as raise the profile of the Farm to School program among school systems across the state. Access to healthy food and the education to make smart choices are more important than ever as one in three children in North Carolina is obese or at risk of becoming obese. NC Farm to School has been supplying North Carolina school cafeterias with locally grown produce since 1997. Last year the program served more than 900,000 students almost 1.4 million pounds of fresh fruits and vegetables. Farm-fresh produce is provided throughout the school year and includes apples, blueberries, broccoli crowns, cabbage, cantaloupes, collards, cucumbers, peaches, romaine lettuce, squash, sprite melons, strawberries, sweet corn, sweet potatoes, tomatoes, watermelons and zucchini. For more information, follow @BCBSNCFound and @NCAgriculture on Twitter or visit the Farm to School program website at www.ncfarmtoschool.com. The NC Farm to School Program was formed in 1997 by the North Carolina Department of Agriculture and Consumer Services’ Food Distribution and Marketing divisions to develop a system for schools across the state to receive fresh produce grown by local farmers. All school districts in North Carolina have the ability to be part of the Farm to School Program. The North Carolina Department of Agriculture and Consumer Services provides services that promote and improve agriculture and agribusiness, protect consumers and businesses, and preserve farmland and natural resources for the prosperity of all North Carolinians. 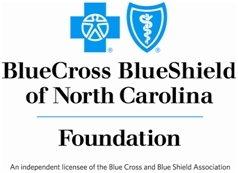 The Blue Cross and Blue Shield of North Carolina Foundation is a separate, independent, nonprofit Foundation dedicated to improving the health and well-being of North Carolinians. The Foundation's focus areas include: Health of Vulnerable Populations - improving health outcomes of populations served by safety net organizations; Healthy Active Communities - increasing physical activity and encouraging healthy eating habits; and Community Impact through Nonprofit Excellence - increasing the effectiveness of nonprofit organizations. BCBSNC Foundation invests programs and services in response to grant requests and proactively creates initiatives or partners with organizations to address specific needs. It also coordinates several Signature Programs, among them, the Be Active Kids® and Healthy Community Institute for Nonprofit Excellence. More information is available at www.bcbsncfoundation.org. Since its founding in 2000, the BCBSNC Foundation has invested $80.5 million into North Carolina communities through more than 600 grants. The Blue Cross and Blue Shield of North Carolina Foundation’s $1.2 million investment to expand the North Carolina Department of Agriculture and Consumer Services’ Farm to School Program in response to the growing problem of childhood obesity in North Carolina.